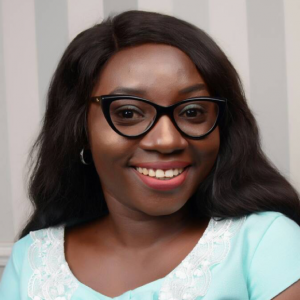 OreOluwa Ojo is the Senior Program Manager of White Ribbon Alliance Nigeria where she leads the development and implementation of the citizen led accountability campaign and project strategy. OreOluwa’s journey into development work/public health started in 2008 when she was undergoing the compulsory one year national service in Nigeria. The poverty and hunger and the high rate of maternal and child morbidity and mortality around her made her embark on community development projects in line with the Millennium Development Goals. She engaged with both state actors and Non-Governmental Organizations to support the improvement of lives of the rural women and children. Due to the community development projects she embarked upon under the National Youth Service Corps/MDGs Advocacy Project, she earned two awards; first as the best MDGs advocate and then the State Chairman’s honours’ award. She is an accomplished advocate who combines her experience in community mobilization, advocacy, research and behaviour change communication to improve the lives of people especially women, adolescents and children. Due to her exemplary community development projects, she became a consultant with the National Youth Service Corps/ Millennium Development Goals Advocacy Project where for over 6 years, she built the capacity of graduates on advocacy and life-building skills to effectively bring about positive change and become development workers while undergoing the compulsory 1 year national service. As a result of her passion for women and children especially, she enrolled and completed a Masters of Public Health degree in Field Epidemiology and she has 2 publications to her name with 1 under review. She has worked with the Nigerian Institute of Medical Research, Marie Stopes International Organization Nigeria, African Regional Health Education Centre, Centre for Preventive Health and Research, Adolescent Health and Information Projects, and the Institute for Advanced Medical Research and training.